Carrollton High School math teacher Thomas Keith had just finished giving a pep talk at a Friday student assembly in the Mabry Center for the Arts as motivation for end-of-the-year testing when all of the sudden he was the one being pumped up with the surprise announcement he has been selected as one of 10 teachers in the United States to be named a “2018 LifeChanger of the Year” award winner. CHS Principal David Brooks asked Keith to wait on the stage while Carey Earle from National Life Group, sponsor of the recognition program, approached the podium to make the announcement. LifeChanger of the Year is a national program that annually recognizes and rewards K-12 school district educators and employees who make a difference in the lives of students by exemplifying excellence, positive influence, and leadership.As an award winner, Keith received $3,000, with $1,500 of the award presented to him personally and $1,500 donated to Carrollton High School. Award recipients are selected from a nomination process that closed Dec. 31. More than 800 teachers, administrators and school district employees were nominated from all 50 states and the District of Columbia. This is the sixth year of the program. 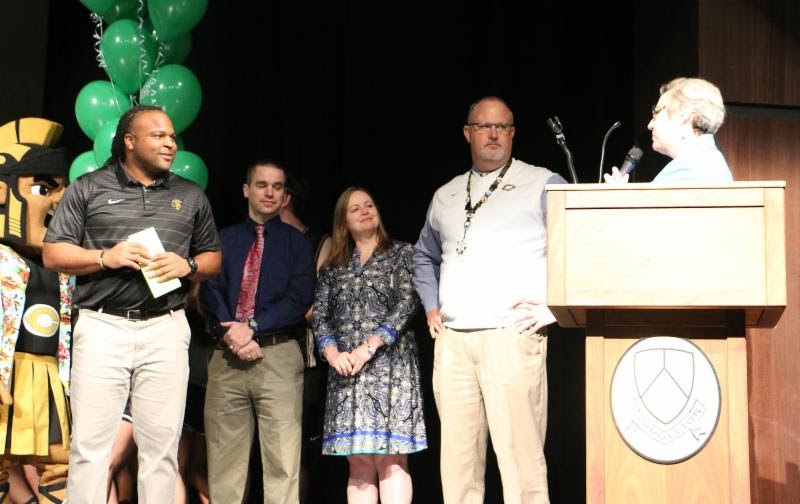 Keith, who was recognized earlier this year as the 2018 Carrollton City Schools Teacher of the Year, was selected for his reputation for being able to relate to kids on all levels who shares his own story of growing up in a poverty-stricken household that was negatively impacted by lack of education, crime and drugs. At the start of every class, he gives his students a “Daily Nugget” of life stories that allow them to see and hear his success story, despite a background similar to many of theirs. Keith teaches coordinate algebra, which is considered one of the most challenging courses for many high school students. His loud-but-loving, enthusiastic style resonates with all students, but especially students who struggle with math. 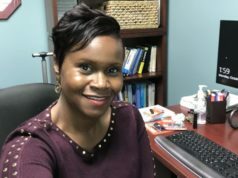 On the Georgia Milestones statewide testing platform, Mr. Keith’s coordinate algebra students outperformed the state average all three years the test has been administered. Dr. Mark Albertus, superintendent of Carrollton City Schools, was the one who hired Keith when he was CHS principal. Jamie Sexton co-teaches the course with Keith and marvels at his ability to motivate and reach students.